Museum Quality Reptile Skulls. 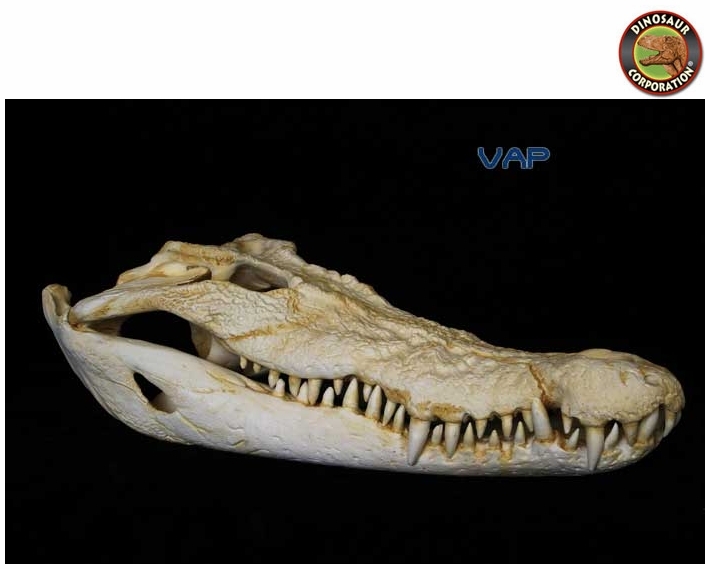 Crocodile Skulls, Alligator, Caiman, Lizard, Snake. Reptiles, the class Reptilia, are an evolutionary grade of animals, comprising today's turtles, crocodilians, snakes, lizards and tuatara, their extinct relatives, and some of the extinct ancestors of mammals. Due to their evolutionary history and the diversity of extinct forms, the validity of the class is not universally supported in scientific circles, though in practice, it remains in use by some biologists and more laymen, especially in mass media. The study of reptiles, historically combined with that of amphibians, is called herpetology.